openSIS allows you to add more contact relationships apart from the given options. 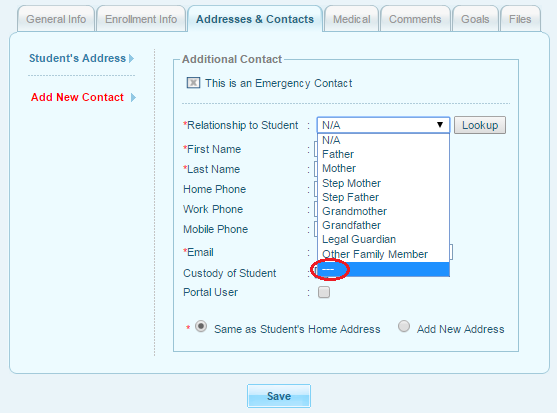 You can define unlimited relationships and add their information in the Student Information under Addresses & Contacts tab. To add more contacts click on Add New Contact as marked in the screenshot. 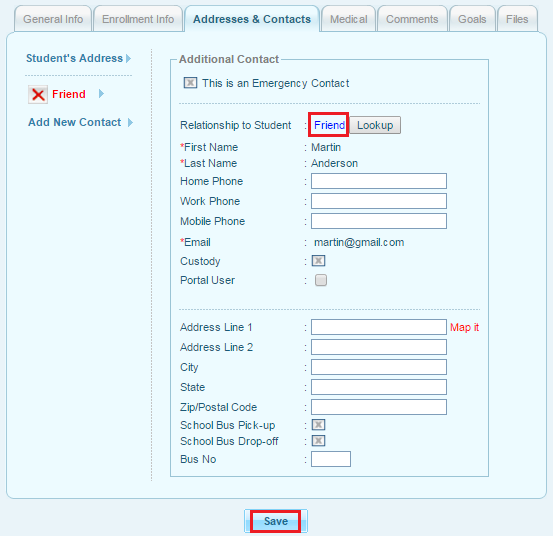 Now, associate the relationship to Student from the dropdown menu as shown, give the details and save the contact. 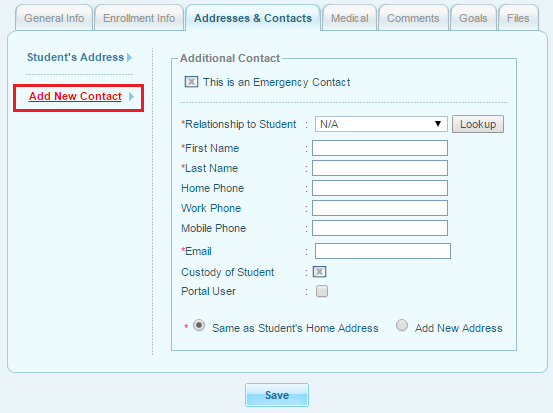 You can also add a new address for the newly created contact and you can make it an Emergency Contact too, by checking the "This is an Emergency Contact" box. 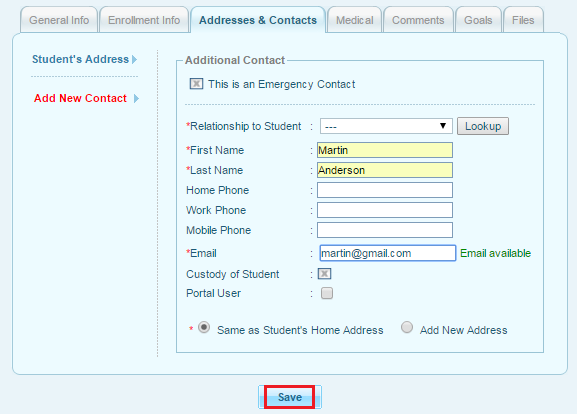 Fill in the mandatory details that are marked with asterisk before saving it. 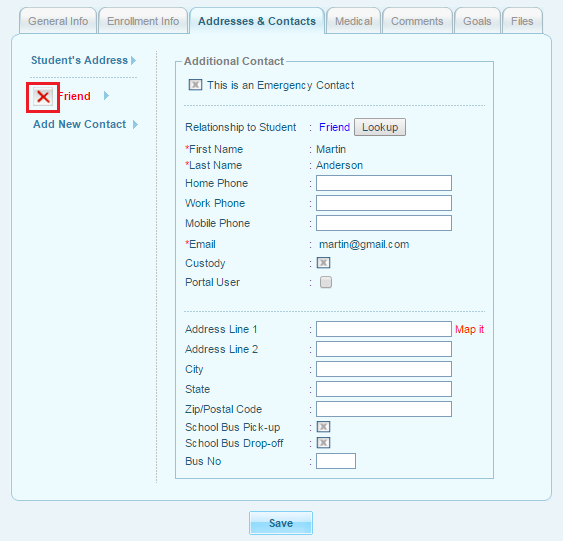 After saving the details to create a new contact relationship, click on the (---) as directed, then, type the relationship name and save it. 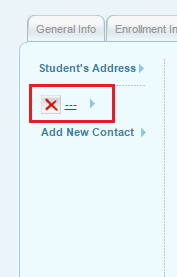 You can also delete this custom contact by clicking on the red cross beside the new contact that has been created. Clicking on OK in the confirm delete box, will delete the custom contact permanently.